This is a guest post by veteran auditor Godfrey Leone Ganado who compares his findings into data on Keith Schembri’s investments with MFSP, leaked FIAU investigations and the published conclusions of the Egrant inquiry. When you’re done you can sit down to wonder why the police called in Pierre Portelli and Jonathan Ferries for questioning while Keith Schembri goes about his business running your country. An investment statement of MFSP Financial Management Limited of Keith Schembri and his company registered in the BVI, Colson Services Limited shows that Keith Schembri accumulated the Euro equivalent of 1,050,381 during the period from 17 June 2010 to 23 January 2015. During 2010, Keith Schembri invested the Euro equivalent of Euro 403,829.61. These funds were sourced through Credit Suisse and described as New Funds. The above amounts were allocated to his personal account S00108 at MFSP. On 18 March 2011, Keith Schembri wrote to his financial services brokers authorising them to transfer all his personal holdings to a new account in the name of Colson Services. During 2011, Colson Services purchased investments amounting to the equivalent of Euro 388,103.01. These were purchased through the company’s account held at Sparkasse Bank Malta plc, and described as ‘New Funds’. On 5 August 2014, the company invested another $36,407 from ‘New Funds’ through Sparkasse Bank. On 22 January 2015, an amount of $201,527.31 was received through a SEPA Instruction Receipt for conversion through Eurochange Financial Services Limited (Eurochange). This amount is also described as ‘New Funds’. On 23 January 2015, an amount of $232,364.27 was also received for conversion through Eurochange. On 17 April 2017, a letter, signed by Brian Tonna on behalf of Colson Services Ltd, was sent to MFSP giving authority ‘to transfer all my holdings currently held with yourselves to Nominee Account S-00108’. This account is held in the personal name of Keith Schembri. The FIAU is informed that Adrian Hillman is the ultimate beneficial owner of Lester Holdings Group Limited, a company set up in April 2011 which is registered in the British Virgin Islands. Mr Hillman and Lester Holdings Group Limited each hold an investment account with MFSP. 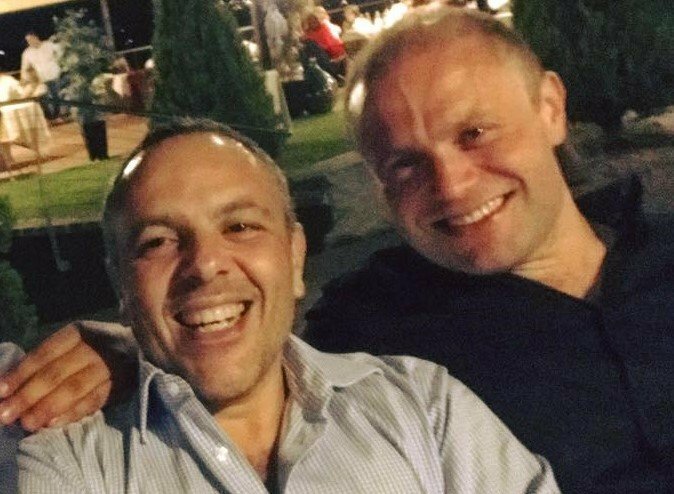 The FIAU is in possession of information indicating that Mr Hillman has received funds both personally and in the name of his BVI registered company from Keith Schembri as well as from companies which are owned by or have Mr Schembri’s involvement. A more detailed analysis was carried out in relation to various payments received directly or indirectly by Mr Hillman from Mr Schembri between 2010 and 2015, which transactions total to approximately Euro 650,000. Following the analysis of the facts available to the FIAU, together with other information obtained by the FIAU through the powers conferred to it by law, it has been determined that sufficient information is available to conclude that a reasonable suspicion of money laundering subsists in this case. According to documentation obtained by the FIAU, the account held by Lester Holdings Group Limited with Pilatus Bank plc was opened on 19 June 2015 and closed on 1 June 2016. The FIAU is in possession of information confirming that 7 transactions were carried out between 2010 and 2014 through which the total amounts of USD 305,559 and Euro 251,534.70 were transferred from Keith Schembri to Mr Adrian Hillman through domestic and offshore personal accounts, bank accounts held in the names of domestic and offshore companies or through a domestic investment services firm. In addition, the FIAU identified another 24 transactions totalling Euro 121,924.82 which were carried out between June 2011 and October 2015. Most of these transactions were carried out in tranches of Euro 5,000 and were sent to bank accounts held in the name of Lester Holdings Group Limited with Pilatus Bank plc and Sparkasse Bank Malta plc directly from Kasco Limited. In addition, the FIAU obtained information indicating that during the period 1 January 2011 to 29 February 2016, Mr Adrian Hillman deposited a total of Euro 224,511 in cash to his personal bank account held with HSBC Bank Malta plc. The source or purpose of these transactions is not known. From a review of the transaction history of the bank accounts pertaining to Lester Holdings Group Limited, it transpires that the only credits received on the bank account held with Pilatus Bank Limited originated from Kasco Limited. Likewise, the FIAU noted that all but 4 of the 24 payments made in favour of the account held with Sparkasse Bank Malta plc in the name of Lester Holdings Group Limited also originated from Kasco Limited. These payments which totalled Euro 100,000 were mainly received in tranches of Euro 5,000 over a period of 4 years from August 2011 to March 2015. A further payment of Euro 4,000 was received from Kasco Holdings Limited on 6 June 2011 while another payment was from Kasco Recycling Limited for Euro 7,924.82. In addition to the aforementioned transactions in favour of Lester Holdings Group Limited, the FIAU identified a payment of Euro 14,609.88 from Kasco Limited which was made on 14 December 2011 to Mr Adrian Hillman’s personal account with HSBC. The FIAU also identified funds crediting Mr Hillman’s MFSP Financial Investment account bearing client code H-00006. The sum of USD 169,675 was received on 23 June 2010 from Mr Schembri’s Credit Suisse Account. A further USD 135,884 was received on 13 May 2011 from an account held with Jyske Bank (Gibraltar) Limited in the name of Malmos Limited, a company ultimately beneficially owned by Keith Schembri. Two further amounts were identified as having been received by MFSP Financial in the investment account of Lester Holdings Group Limited. The sum of Euro 100,000 was received on 18 November 2011 from Kasco Engineering while an additional sum of Euro 125,000 was received from an account held with Jyske Bank (Gibraltar) Limited in the name of Malmos Limited. The conclusion of the FIAU report states: ‘In view of the above circumstances, the information available to the FIAU is deemed to be sufficient to conclude that a reasonable suspicion of money laundering and/or the existence of proceeds of crime subsists. It is, therefore, being recommended that this report be transmitted to the Police in terms of the Money Laundering Act for any action the Police may consider appropriate’. The Nominee Director of Lester Holding Group Limited is Jacqueline Alexander, the same person whose signature on the Egrant Declaration of Trust was determined in the magisterial inquiry to be forged. The statutory auditors of the Kasco Group are Nexia BT who always gave a clean audit report on the Kasco companies. The FIAU lists 3 payments made between August 2013 and May 2015 amounting to a total of Euro 6,432.55 issued by Adrian Hillman in favour of BTI Management. It also mentions that Mr Brian Tonna and Mr Karl Cini were granted a power of attorney on 5 July 2013 on behalf of Lester Holdings Group Limited and that Karl Cini was also authorised to open bank accounts in the company’s name on 1 May 2015. The FIAU also highlighted that a number of the transactions outlined in the report, were carried out through internet banking services, and therefore very little information is available as to the purpose of the payments from Mr Schembri to Mr Hillman. The FIAU noted that, notwithstanding the transactions remitted through Pilatus Bank plc identified in the report are not of significantly high value, Pilatus Bank plc have to the date chosen not to file a suspicious transaction report with the FIAU despite the extensive media coverage on potential suspicious activities involving Mr Schembri and Mr Hillman. Observation 1 – On page 1408 point 4, the report names the experts that were engaged on the technical part of the report, and states that the information was lifted from Pilatus Bank, Nexia BT, Karl Cini and Brian Tonna personally, MFSP Financial Management Limited and Matthew Pace (Executive Director of MFSP). Point 4.d names the forensic experts tasked with analysing the data lifted above. Comment – The conclusions of the leaked FIAU report highlighted above, place a lack of credibility in the persons mentioned, let alone in any data — corporate or personal — that may have been lifted by the experts, and also raises suspicions as to whether the data lifted was all the data that should have been available. It is also highly questionable as to why data was kept personally by Karl Cini and Brian Tonna. Observation 2 – On page 1409, the conclusion to point 4 mentioned above, the report states that the direct evidence and technical expertise, led the experts to establish that there were various points which contrasted seriously with the allegations made by Daphne Caruana Galizia and Maria Efimova, ‘nonche informazzjoni oħra li rriżulta li ġiet interpretata b’mod ħażin miġjuba minn leaks mill-FIAU’. Comment 2 – It is interesting that the report contrasts information with the leaked FIAU reports which were publicly questioned by the Minister of Finance as ‘may have been made to be leaked’. On this, I must state that the meticulous details of the transactions and information mentioned in the FIAU report above point clearly to anything but ‘concocted’ reports. Observation 3 – On page 1410 there is a reference to the authenticity of the signature of Jaqueline Alexander on the Declaration of Trust as well as to her testimony, ‘ikkonfermat li hija ma kinetx kitbet jew għamlet dawk id-declarations of trust u l-firem fuq dawk id-dokumenti ma kienux tagħha u b’hekk ma setgħetx tikkonferma l-kontenut tagħhom’. Comment 3 – Jacqueline Alexander was the nominee shareholder on behalf of Dubro Limited of the three Panama companies, Egrant, Hearnville and Tillgate, as well as a nominee director of Lester Holdings Group Limited, the British Virgin Islands Company of Adrian Hillman for which Brian Tonna and Karl Cini had a power of attorney. This shows her ‘professional’ involvement with main witnesses and her overall credibility becomes naturally suspicious. I must also highlight that, in my opinion, while she highlights that the signatures on the documents are not hers, she states that therefore she could not confirm the details in the declaration of trust. I ask: is it possible that the nominee shareholder of Egrant cannot confirm or deny the details, more so when Brian Tonna set up Egrant, and when he himself confirms that Egrant is his? Observation 4 – On page 1417 point 14 states that in the documents lifted from Pilatus Bank there were documents which indicated the PEP clients of the bank. This document which was dated 27 January 2016 includes the name of Keith Schembri. Comment 4 – It is quite normal for bank accounts to be operated only for just a few transactions spread over a period. This is particularly the case where one wants to have a fast route of closing an account without leaving the wide audit trail that a large number of transactions would. It should be noted that Willerby Trading Inc is a company in the British Virgin Islands owned by Brian Tonna, the auditor of the Kasco Group. It is important to highlight this aspect because, under the Accountancy Profession Regulations on Independence, an auditor cannot have any dealings with his client.